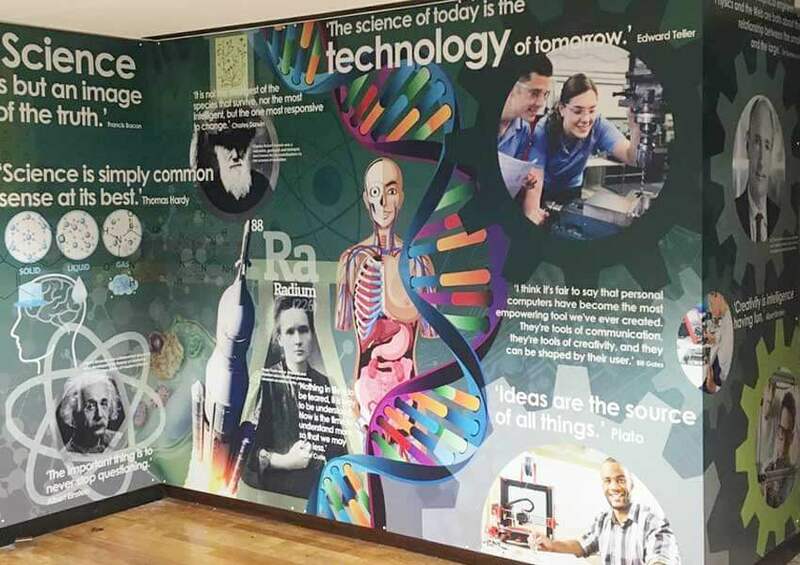 Our new Multi Academy Trust Wall Displays at Holgate Academy has created a new learning environment for the school. It has never been easier to get around the school with our bespoke directional signage. Creating an inspiring learning environment which matched the aspirations of the school was a key objective in the rebranding programme. We designed this scheme of wall art and wall displays to achieve this goal. Focusing on the core values of the school and key curriculum areas the designs were also in keeping with the new branding. The design of All Saints Sixth Form prospectus had a very different brief to the one we had for the main school. This brochure needed to appeal to the students as they were the key decision makers. 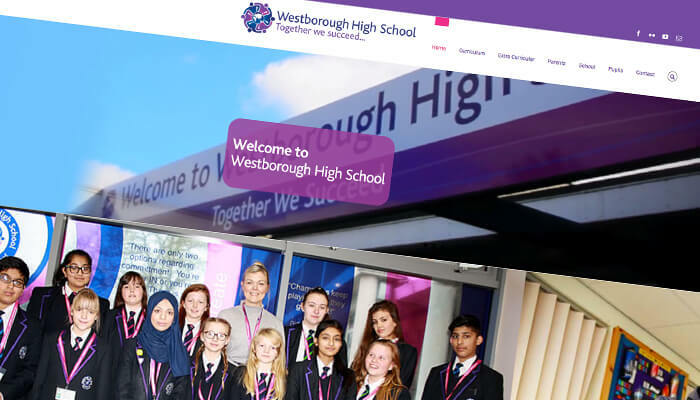 Creating a new School website for Westborough was the final piece in the jigsaw and completed the rebranding project.